"can credibly be included alongside such canonical rock-docs as "Gimme Shelter" and "Don't Look Back." 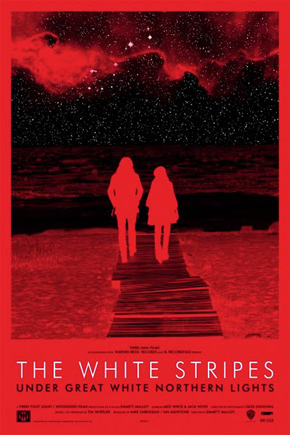 Under Great White Northern Lights is a visual and emotional feature length film documenting The White Stripes making their way through Canada and culminating with their 10th anniversary show in Nova Scotia. 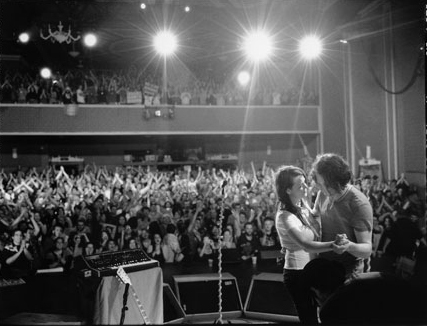 The film documents the band playing shows all over Canada; from local bowling alleys, to city buses, and onward to the historic Savoy Theatre for the 10th Anniversary show. Along the way, they have some nice casual conversations about their ten years together, fire cannons, play some of their biggest songs together on stage, and even play a 'one note show.' The cameras were there to capture every waking moment.